If you soak in the evening then next evening wash the soaked dal and rice very well in fresh water. add poha and leave for 10 minutes. In a mixer, grind dal,rice and poha mixture, to very smooth batter, using water as required. Heat 1 tablespoon olive oil.. Add onions, leek, broccoli and capsicum saute for 2 minutes. Deep fry the onions till golden brown. Keep aside. Heat 2 tablespoon olive oil. Add garlic once it turns pink add sesame seeds. Add fried onions and capsicum saute fora minute. Add corn, mix well. Add chopped cabbage. Cook for a minute. Cut the french loaf into halves. apply butter on inner side or spread some pizza sauce or tomato ketchup. Spread the above mixture equally on both halves. Sprinkle mozzarella cheese. Put some jalapenos. Bake at 250 C till cheese melts and browns. Serve hot. Mix together: Mustard, red chili falkes, olive oil, oregano, basil and salt. Remove the sides from the bread slices. cut into rounds with help of a cookie cutter. Toast in oven. Spoon some mustard filling on each toasted bread rounds and serve. Think out of the box:- can be served as a salad. Add some cut tofu or paneer. Use mayonnaise also in the mixture to get a different taste. Break eggs in a bowl add milk, sugar and essence. Whisk till sugar dissolves . Dip bread slices in the above mixture so that they are well soaked. Heat a non stick pan. spread some oil and shallow fry the bread slices. till done on both sides. Serve hot with honey/ maple syrup or nutella. Mix the bread slices and potatoes well, add salt onions and coriander leaves . Shape into Tikkis and deep fry in hot oil or then shallow fry. Tastes best between two slices of bread with slices of onions and tomatoes and tomato ketchup. yummy. Heat oil in a pan: add onions saute for a minute. add capsicum and saute for few seconds. Add corn, salt, chili sauce, oregano, basil, tomato sauce. Mix well. Toast bread slices and cut into halves. Spoon some mixture on bread. Sprinkle some cheese on top and serve hot. 2. Heat 2 tablespoon oil in a pan:- add jeera, when it crackles add curry leaves. 3. Add onions and green chilies, saute till they turn light brown. Add peas saute. 4. Add water, salt, lemon juice and sugar. bring to boil. 5. Once the water starts to boil, whisk in the sauted sooji. Keep mixing with the whisk till water dries up. Garnish with chopped green coriander and serve immediately. 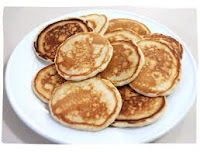 Important tips:- Using the whisk will insure that no lumps are formed. Sooji can be sauted in advance and kept in fridge for few days. Water has to be double the measurement of Sooji and little more. Taste the water before adding sooji and balance seasoning if required. To make it more healthier add boiled mixed vegetables and use the water in which the vegetables were boiled. Really good recipe. Thanks had a great Sunday breakfast. My children absolutely loved the french toast. Organizing a party: Pick dishes from any of the other menus: keep guests guessing by serving a multi course menu: there are lot of choices in the courses offered menu. Pick a dish from each and have a great party. what is plain flour? is it wheat flour or maida? Hi Rajul, missing your classes like hell, have tried mocktails n almost all gravies in moghlai n they are wonderful. well have been cooking from your recipes since getting back. thanx for everything. I have had a wonderful experience attending your classes..lovely recipes and very refreshing! sorry that was a misspell it is Leek. 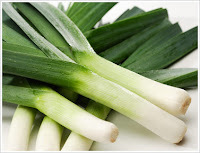 Looks like a thick spring onion and tastes fantastic. sun dried tomatoes are dry tomatoes.... which you get in the market or you could add salt to tomatoes and dry them in the sun. Bacon is type of meat. If you are vegetarian you can omit it out. I want to joined classes between 2nd may to 14 may, so there is any sessions for cooking classes. please reply. i am so sorry there are no classes for the dates mentioned by you. as am on my holidays I will not be back beofre 19th may 2012. i sure hope you can make it for the workshops later. can u please the recipe for Pancakes and waffles? *can you please share the recipe for Pancakes and waffles? The French Toasts were a killer!! my husband is in love with me all over again :)) yeah id love the recipe for pancakes and waffles too!! and ill be in free in Diwali.. do u have any special classes then? Could u please share the recipe for the indonesian potatoes?? Hi Rajul , Pl inform whether you arrange any workshops specially for children in summer vacations ?